a new base engine, a 215-c.i. inline six with 101 horsepower. 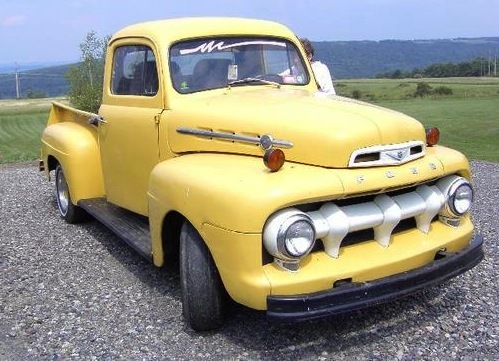 Many parts of the 1951 Ford F-Series trucks are very similar to the 1948, 1949 & 1950 Ford trucks. Available models for 1951 are the F-1, F-2, and F-3. Available engines include either a 215 cid inline 6 cylinder (101 horsepower) or a 239 cid flathead V8 (100 horsepower).